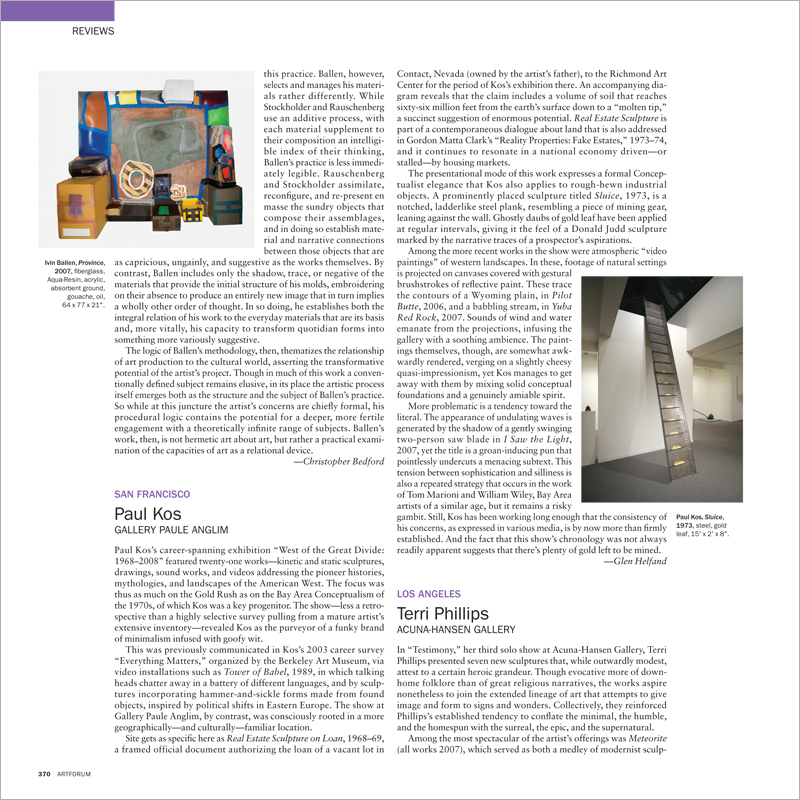 Paul Kos’s career-spanning exhibition “West of the Great Divide: 1968–2008” featured twenty-one works—kinetic and static sculptures, drawings, sound works, and videos addressing the pioneer histories, mythologies, and landscapes of the American West. The focus was thus as much on the Gold Rush as on the Bay Area Conceptualism of the 1970s, of which Kos was a key progenitor. The show—less a retrospective than a highly selective survey pulling from a mature artist’s extensive inventory—revealed Kos as the purveyor of a funky brand of minimalism infused with goofy wit.